Sometimes fantasy becomes a reality. Sometimes people fall in love before they even know it- before they even know each other- and after its too late. I let her rest as I take off my clothes. Once I’ve discarded my shirt and pants, I take the liberty of removing her underwear. What little is left of the stretched out, saturated material. “Don’t get comfortable. We’re not done yet.” I pull her up by the hand. “I never said anything about being done.” She peers up at me. Round two is right around the corner. “I missed that mouth.” I run my thumb along her bottom lip. “What else did you miss?” She flutters her eyelashes. “Your eyes.” Tara looks up at me surprised. Not the answer she was expecting? “That sounds good to me.” I pull her to her feet and kiss her crazily. Running my hands through her hair until it’s a mess and our bodies are as close as they can possibly be. ABC: Hi M! 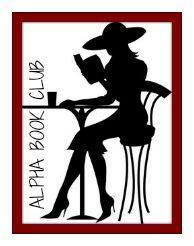 Thank you for stopping by Alpha Book Club during your release celebration of "Lie With Me" - Book 4 In The Decadence After Dark Series. This series is just over a year old with Owned being published _October_ 2014, then closely followed by Claimed in March, Ruined in June and Now Lie With Me. Tell us how you have managed to turn out 4 books in such a short amount of time and what inspired you to write about the world of dark erotica? them as the reader does. Writing quickly is a win/win for both of us!" ABC: Do you ever get writer's block or have trouble telling one of your characters stories? M.N. : Yes. And when that happens I just step back and give it a few days to pass. Sometimes during those periods I use the time to line up release schedules and future projects. I’m always thinking months into the future. ABC: We know you love to write and according to your bio kickboxing and sushi, tell us something you enjoy doing that nobody knows? M.N: I love yoga as well. I try to do it every morning even if it’s for ten minutes. It’s my Jett side. ABC: You have to have a supportive spouse since you are clearly an Alpha Female. Does he ever get to help you research the bedroom scenes? M.N. : Lmao….maybe. I can definitely tell you that I use real life to inspire me…. I’ll leave it at that. ABC: For people who know you in real life and know you write dark erotica, what has been the scene out of all 4 books that has shocked them the most?! M.N. : "The foursome for sure!" 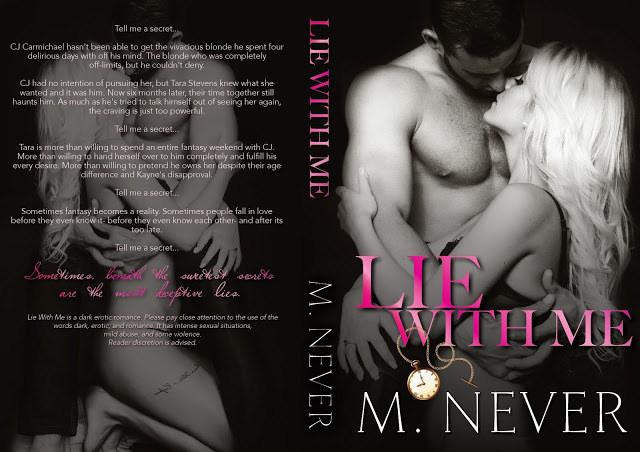 ABC: What do you think readers are going to love and hate about Lie With Me? M.N. : "I think they’re going to love CJ and just how fun and playful he is. I think the plot twists are going to test the readers, but I really hope they don’t hate any of it!!" ABC: Finally, Jett. When can we expect Jett? Spring, Summer, Fall? Do you think there will be more to the series after you write Jett's story?? M.N. : "I can’t confirm an exact date for Jett, I just know it will be in 2016 sometime. And as of right now, the series will end with his story."